Whenever I think of Sausage Balls it takes me back to when I was in Home Economics in high school! We made Sausage Balls all the time and that was the first place I ever tasted them. 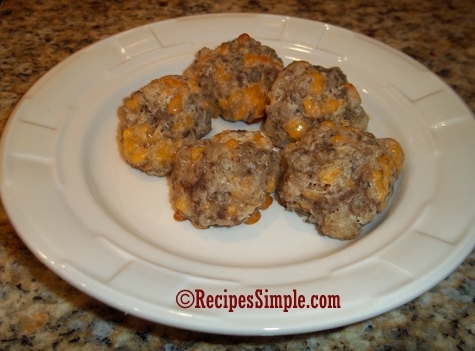 These Sausage Balls have cream cheese in them which helps to keep them from becoming too dry. They are moist and delicious. You can use mild or hot sausage depending on your preference. Or a combination of both. I usually use mild sausage. These look really yummy! Would be great for Easter Brunch!